It’s known as “Gordon’s Calvary,” after Major General Charles Gordon, who visited Palestine in 1883 and discovered a long-forgotten place. 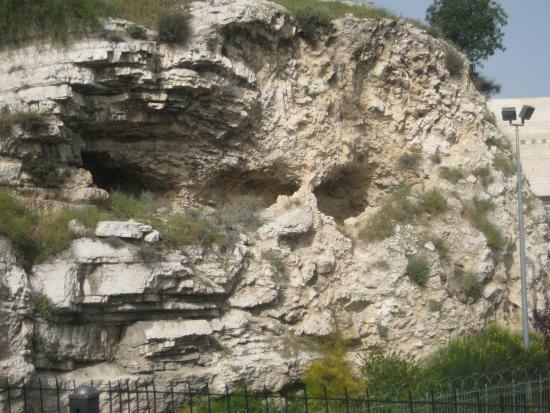 A stone’s throw from the massive limestone walls of Jerusalem’s Old City, an ancient tomb cut out of solid rock is only 50 yards or so from the equally famous, “Skull Hill,” a bluff known for two indentions that eerily resemble a skull. This is the place where the Lord was crucified 2,000 years ago. The tomb itself stands in stark contrast to that awful place. Now a park-like setting maintained by an Anglican group, the Garden Tomb is a place of deep solitude, peace, and reflection. Birdsong, lush foliage, and secluded seating along a stone path cause a visitor to drink-in the meaning of the place. During that famous week in the 1st century, Jerusalem was anything but serene. The leather of Roman sandals slapped across the pavement in the city, and the scent of open-air markets mixed with shouts from shoppers and moneychangers filled the air. Passover brought a surge in the population, and most visiting Jerusalem had no idea what was coming. Passover means sacrifice, an innocent life for the sins of many. The prophets had foretold that the Messiah—the One sent to take our sins—would enter Jerusalem and only days later, be sent to the cross. 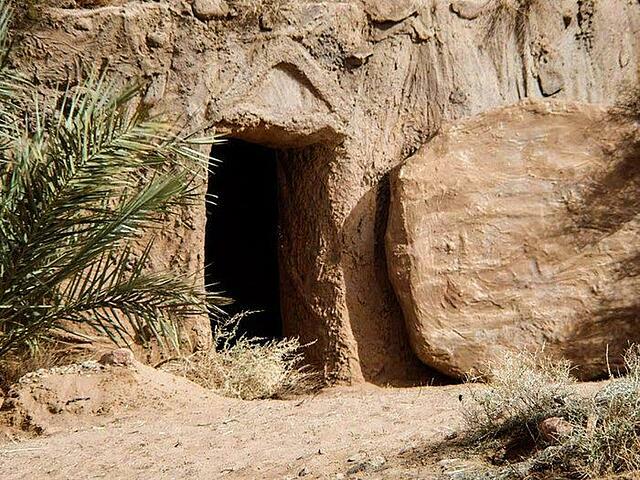 as Jesus died, daylight filled the tomb. As the four gospels tell us, the women close to Jesus visited the tomb that morning, and they found his body had been taken. They did not immediately realize that the Creator has the power of life over death, and so Jesus was alive again, forever. Think about how this impacted each of them, as they raced back to His disciples, who were in despair after their Master had been cruelly taken. One of the great takeaways from this event—the most meaningful in all of human history—is that Jesus’ followers understood that if death is not the ultimate winner, they could boldly proclaim Him to a discouraged, violent, and broken world. We celebrate the resurrection of Jesus Christ each year. The new spring season helps us see life anew, in all its forms. The great gift of eternal life that Jesus volunteered to give us is supreme, and with it, the reality that we have nothing truly to fear in this life. 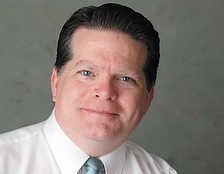 Perhaps you are lost in the shadows of a painful marriage or your finances have imploded. Maybe your child is walking a dark road and the grief you feel is overwhelming you. Take your heart to a calm and cool place. A garden where life springs forth and you can meditate on the reality of God’s love. The sacrifice of Jesus in this very real place, long ago, is of the greatest practical value. It isn’t a nice sentiment that leaves quickly like a breeze. It is the place where death and demolished dreams are changed, by faith, into a renewed sense of purpose. Night terrors always give way to a new morning. 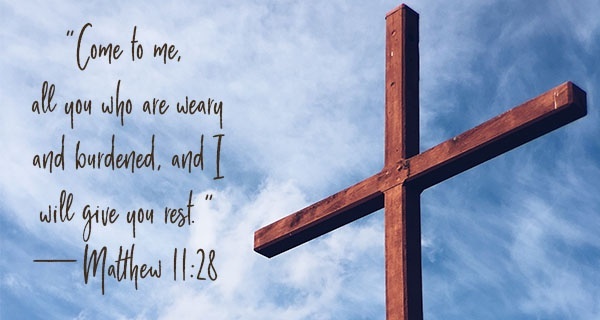 to the Source of your peace, comfort, and rest.